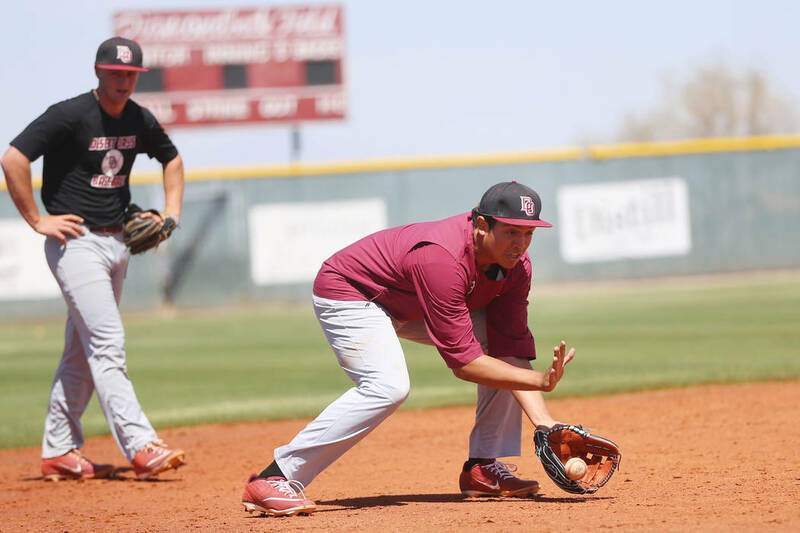 Desert Oasis senior Aaron Roberts, a pitcher and infielder, has emerged as perhaps the best player in Southern Nevada and a bona fide professional prospect in June’s MLB Draft. 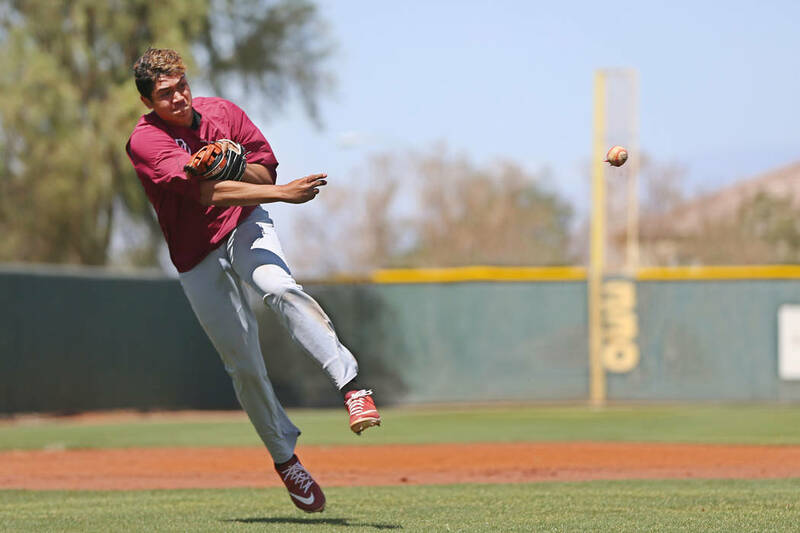 Half the teams in Major League Baseball have met with Desert Oasis senior Aaron Roberts. And 28 of the 30 have contacted him. If he doesn’t go pro, he’ll attend the University of California on a baseball scholarship. 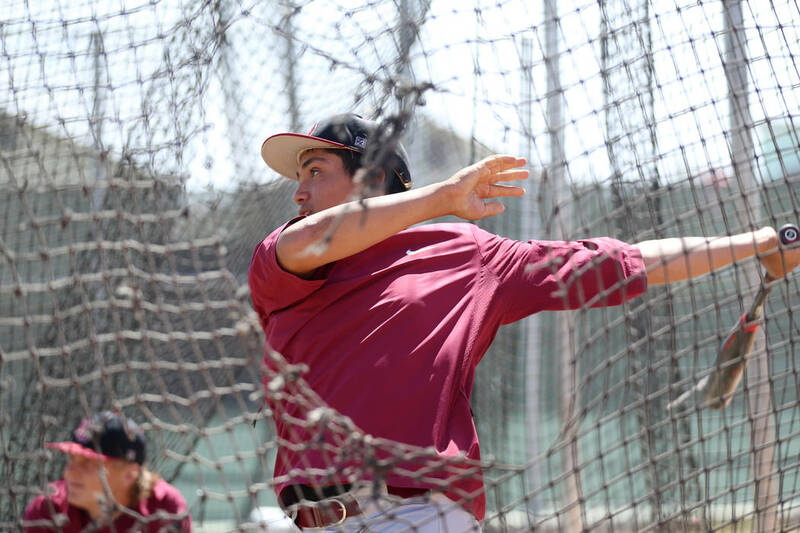 Roberts, a 6-foot-3-inch, 210-pound pitcher and infielder, has emerged as perhaps the best player in Southern Nevada and a bona fide professional prospect in June’s MLB Draft. He’s batting .585 with eight home runs and 34 RBIs and complements his 96 mph fastball with a curveball and change-up. Representatives from the Boston Red Sox attended his team’s 9-0 win over Sierra Vista on Wednesday and met with him after the game. The process for Roberts started about a decade ago on baseball diamonds across Las Vegas. He began playing in elementary school and quickly realized he hit the ball a little harder — and threw it a little faster — than his peers, prompting a question from his crucial dad, who sought to help him reach his goals. The two spent two or three hours hitting, throwing and fielding most days, and the work compounded into rapid improvement. 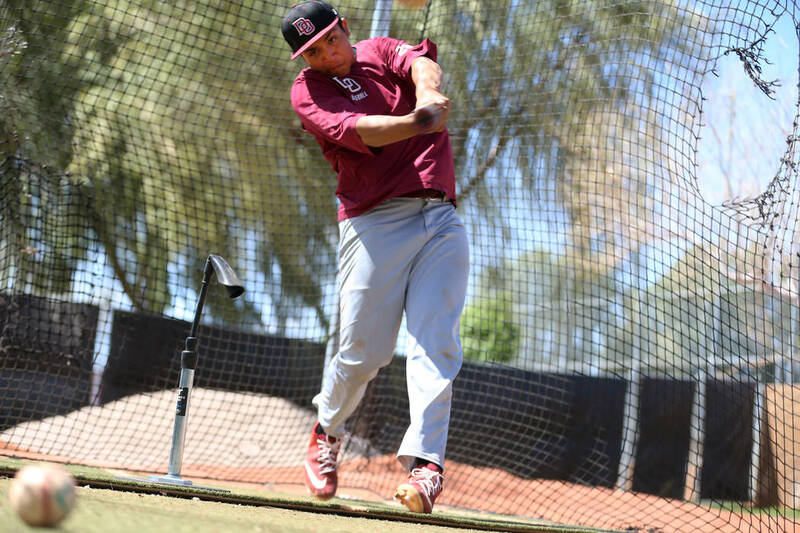 He made the Diamondbacks’ varsity team as a freshman in 2016, hit. 253 in 91 at-bats and went back to work after the season. More hitting. More throwing. More fielding. 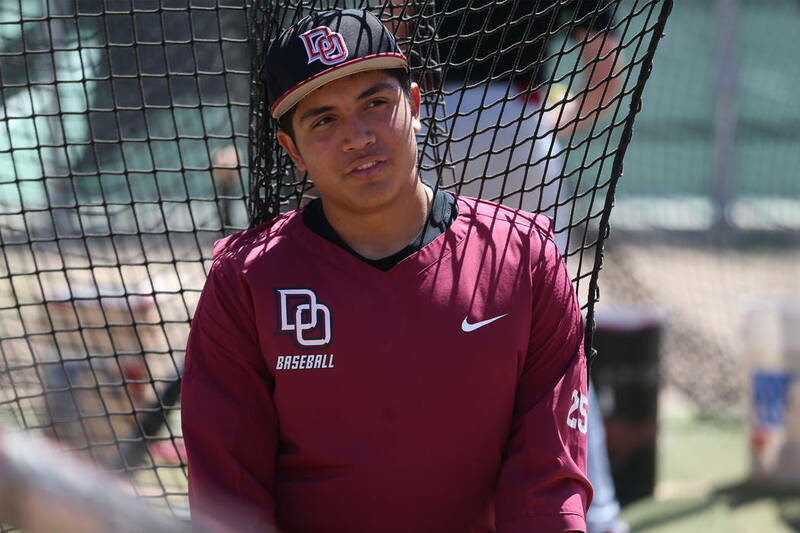 Roberts hit .330 with three home runs and 25 RBIs as a sophomore, and .374 with six home runs and 23 RBIs as a junior — all while dabbling on the mound and drawing recruiting attention from almost every Pac-12 program. He was recruited by Cal as a two-way player and signed with the Golden Bears in November, citing their good reputation for player development and rigorous academic standards. “Everything felt right,” he said. 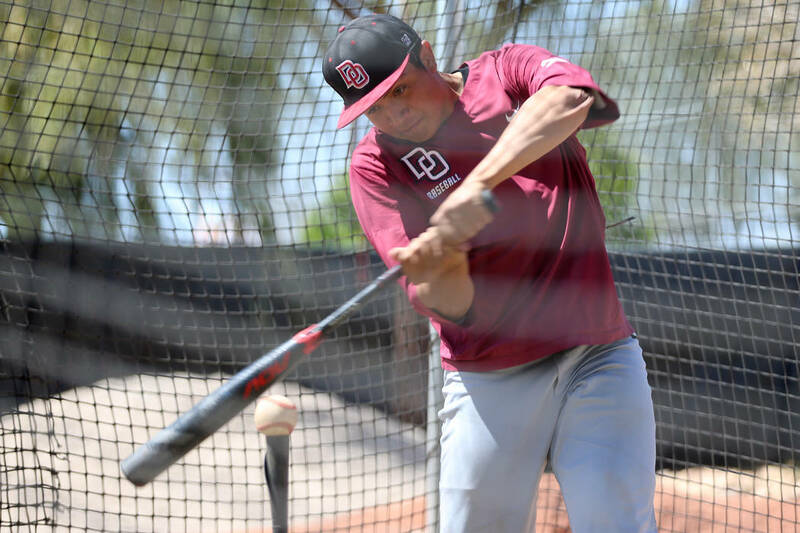 Roberts has set single-season and career home run records at Desert Oasis this year and has helped the Diamondbacks compete against some of the country’s best teams. 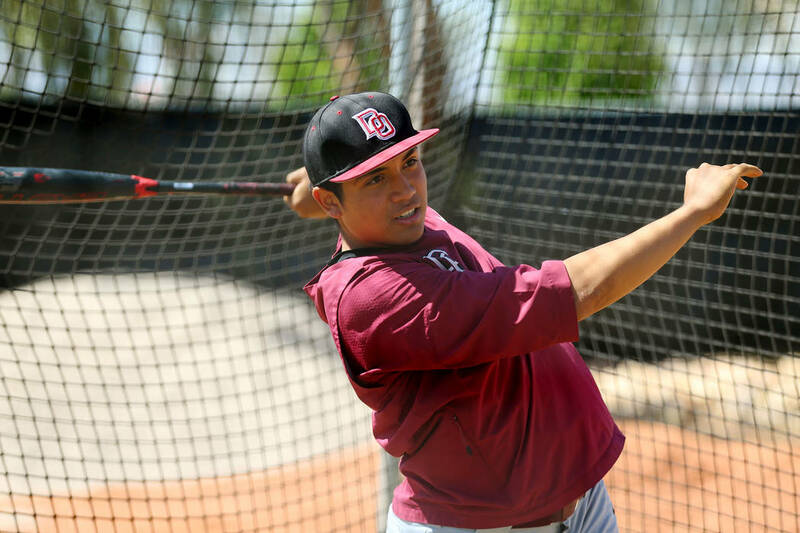 His only focus, he says, is helping Desert Oasis win its first state championship. California can wait. So, too, can the draft. Contact reporter Sam Gordon at sgordon @reviewjournal.com. Follow @BySamGordon on Twitter.